After breakfast, drive to Mandawa located in the Shekhawati region. Upon arrival, visit the village with winding streets, beautiful havelis and colorful naive paintings and a special atmosphere. 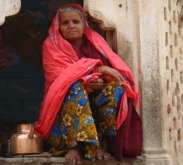 Shekhawati, especially near Mandawa, is a museum of paintings in the open sky in Rajasthan and was the favorite place of the Marwari community, great merchant families of India from the 17th to the 19th century. These wealthy merchants built luxurious mansions, havelis with frescoes. Overnight at hotel. Departure by road to Bikaner famous for its camel farms. Crossed by caravans from the Far East and Arabia, this desert city, known as the Red City, was founded in 1488 It still benefit from the arid climate that surrounds it as protection against his enemies, but the old town however defended by impressive fortifications. Away from the walls, the latter contains a maze of alleys where circulating carts pulled by camels, a bustling bazaar and some havelis. Visit the Junagarh Fort built in the 16th century,the palace is beautifully decorated and catches your eyes. Then walk through town over these streets. Overnight at hotel. Drive to Jaisalmer, the Golden City and explore this fascinating medieval city of yellow sandstone, lost in the depths of the Thar Desert. Open-air museum, unrivaled throughout India with its strong and magnificent Patwon Ki Haveli. Jaisalmer has its historical importance and was an asset for the country for it's important caravan route between India and Persia, Arabia and the West. In the evening, sunset to chhatri, cenotaphs of rulers, built in the former royal garden near a small lake below. Overnight at hotel. Visit this beautiful city located inside a huge fort, the second oldest fort in Rajasthan whose interior is a maze of courtyards and halls. Stroll through the most populated part around the fort where the bazaar and most beautiful havelis, and visit the magnificent Patwon Ki Haveli, home of brocade merchants. Near the walls of the lower town, Gadisar lake, lake conservation of rainwater created in the 14th century, the main source of drinking water for the entire city at the time. By late afternoon safari by camel in the desert at sunset. Overnight at hotel. Morning departure for Jodhpur, former capital of Marwar. Upon arrival, visit the city known for its fort, Mehrangarh Fort, overlooking the city as a sentry. Built in 1459, it contains many palaces built by successive rulers. Jodhpur is commonly known as the Blue City because most houses in the old city are painted that color. 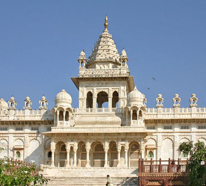 Jaswant Thada and visit the royal cenotaphs. Beautiful white marble mausoleum in memory of Maharaja Jaswant Singh II, nicknamed the Taj Mahal of Rajasthan. Then walk to the fortified in the colorful and lively Bazaar, Sardar Bazar, around the Clock Tower. Continue to Rohet. Overnight at hotel. Morning drive to Ranakpur. Crossing the traditional villages of Bishnoi, which means 29 community characterized by its respect for all life be it animal or vegetable. 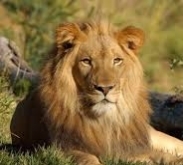 First ecologists of the world, they protect the environment for more than 500 years. Continue to Ranakpur and visit one of the most beautiful Jain temples in India, dating from the 15th century. The unit is fully carved marble and sculptures reminiscent of fine lace work. Continue to Udaipur. Overnight at hotel. Tour of the White City, the most romantic city of Rajasthan and the jewel of Mewar kingdom. With its marble palaces with undeniable charm with towers, domes and intricately carved balconies, Udaipur is an enchanting spectacle. Visit the City Palace, a huge palace from 1567, Rajput and Mughal mixture of influences surrounded by crenellated walls offering panoramic views of Lake Pichola and its two islands. Continue to the Jagdish temple and Sahelion Ki Bari visit the garden of honor Maharani ladies. In the late afternoon boat ride on Lake Pichola. Overnight at hotel. Morning drive to the 108 temples of Eklingji still active.Thousands of pilgrims come to surrender their devotion to the god Shiva, a great place to enjoy the fervor of believers who washed the statue of the god before covering it with leaves and flowers. Then on to Nagda, ancient defunct capital of kingdom of Mewar. Nagda is still famous for the ruins of three magnificent Jain temples exquisitely carved lost in a magical setting. Continue to Deogarh. A stroll through the village from another time to meet the indigenous is more enjoyable. Overnight at hotel. Drive to Pushkar, high sacred place of Hinduism and important place of pilgrimage. The city has the privilege of having the only temple of Lord Brahma, the creator god of the universe. On the banks of the lake, ghats allow pilgrims to descend to bathe in the sacred waters. This site is exceptional for the provision of its crescent moon marble temples, which appear to float on the lake. Discovery of the ghats and temples situated on the banks of the sacred waters of the lake and the Brahma temple. Overnight at hotel. Drive to Jaipur, capital of Rajasthan. Jaipur, or the Heart of Rajput chivalry, built in 1727, is known as the Pink City because of the color of its walls. In the afternoon, visit the City Palace and its magnificent museum containing many treasures, the Astronomical Observatory, the Jantar Mantar Observatory which is a world heritage UNESCO site and its amazing instruments that still admired today. Off to the Palace of Winds, Hawa Mahal, with multiple openings. Built in 1799 and close to the City Palace, this amazing architectural fantasy was built for the women of the royal families so they can attend the processions without being seen. Overnight at hotel. Morning drive to Amber and visit the Amber Fort, the ancient capital of Maharajas of Jaipur. This 16th century fortress built atop a rocky outcrop, is available on an elephant. Visit the fort and its many palaces each more sumptuous than the others. Back in Jaipur, and in the afternoon, ride pedicab to take the pulse of the old city of Jaipur where markets, shops and bazaars abound. Typical neighborhoods did not lose this special atmosphere there for centuries. Overnight at hotel. Morning drive to Ranthambore National Park and Tiger. Once a hunting reserve of Maharajas of Jaipur, Ranthambore covers approximately 390 square kilometers and is part of Project Tiger. It offers extraordinary landscapes of lakes, dry forests and grasslands. This park was created in 1955 to ensure the survival of the tiger and, of course, many other species that sustain this large predator. The afternoon safari in the park. Night at the lodge. After breakfast, drive to Agra. En route visiting Fatehpur Sikri, the red sandstone ephemeral capital built by Emperor Akbar to commemorate the birth of his son. It was completed in 1574 but the city was abandoned 15 years later for lack of water. It was a city "fairy tale" and its extensive remains in perfect condition, witness the splendor of the imperial court of the time. Continue to Agra. In the afternoon, visit the Red Fort, imposing edifice of red sandstone, the largest fort in India. Simple, beautiful and string.It was constructed by Emperor Akbar when he decided to make his capital from Agra. Overnight at hotel. At sunrise, visit the famous Taj Mahal, unforgettable mausoleum of white marble inlaid with semi-precious stones. Built by Shah Jahan in memory of his wife, Empress Mumtaz Mahal, who died in 1630, this masterpiece was completed after 23 years of titanic work to which thousands of workers participated, sculptors and architects from all over India and neighboring countries. Then, stroll through the Kinari Bazaar and visit a workshop on marble inlay, the specialty of the city declined in everyday objects: boxes, cabinets, cubbies, trays, trolleys, chessboards. It perpetuates a unique know-how for nearly 500 years. Then drive to the Delhi International Airport for the return flight. You will find below our selection of hotels for this trip. Hotels indicative subject to availability. The choice of the class of accommodation to you. You will be able to specify it in your quote. You fall in love with the place the moment you arrive. Many frescoes refined and elegant. The rooms and bathrooms are large. Very nice garden. The pool is beautiful and the spa without moderation. A wonderful restaurant in Rajasthan. Nice and close to the old town. Nice setting, in a quiet and relaxing place. Exceptionally large rooms. Good restaurant. Friendly staff. Comfortable hotel in a quiet area. Very warm, welcoming and helpful staff. The decor is successful in all areas. Rooms and bathrooms are spacious and very clean. Efficient service. Delicious refreshments served on the terrace with a magnificent view of the Fort in the city. Beautiful setting, gracious hosts for this 17th century palace. The lord of the manor is loving riding and HAS a nice team. Beautiful beautifully decorated service and very neat environment rooms. The village of Rohet is very pleasant for walks and meet people. Ideally located hotel with great views of Lake Pichola, the Lake Palace and City Palace. The design of the roof is magical with swimming pool and restaurant. The hotel has just reopened with several months of work. Beautiful stage for this huge palace like this. Very welcoming, smiling and friendly. Maze of corridors leading to spacious rooms and period decor. Nice pool and spa. Magnificent view of the lake from the terrace. A small buildings along the Pushkar Lake with a beautiful view of the ghats. Near the center, this hotel is ideally located and quiet. Spacious, very well equipped and very clean. Welcoming, attentive and eager to please. Rooftop terrace for a wonderful view. Charm for this beautiful noble house with large comfortable rooms. Attentive and friendly staff. Nice pool and good restaurant. Modern hotel with a good price / quality ratio. Friendly staff. Bright and spacious rooms with a mini fridge and a safe. Modern bathrooms.